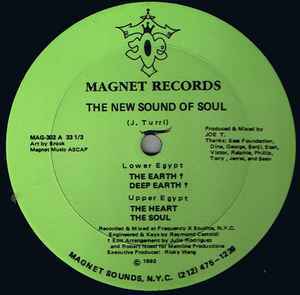 The green label copies are the first original pressings. Recorded & Mixed at Frequency X Studios, N.Y.C. Edit Arrangement on Lower Egypt side for Mainline Productions. Picked up at Vinyl Pimp in Hackney. Payed an heavy price for a mint copy. Worth Every single cent. Really refined. Dope tune! Brilliant EP for me at the beginning of 2015!